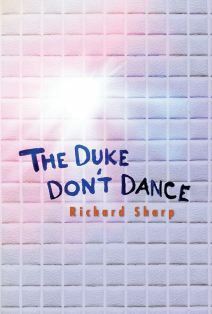 Featured Indie Book on Indie Author News: (Historical) Literary Fiction The Duke Don't Dance by Richard Sharp. The Duke Don't Dance is is a saga following the lives of seven protagonists of America's "silent generation" from young adulthood in the 1960s through 2011. It would be considered a historical novel except for the technicality that a number of us from that generation are still alive today. The Book has been self-published via Amazon CreateSpace and is available as Paperback and eBook - released in March 2012 - 262 pages. The novel is a frame narrative beginning and ending with the funeral arrangements of one of a group of friends and acquaintances, and tracing the evolution of their lives and relationships in the intermediate chapters. It has been favorably compared to the movie "The Big Chill" by a number of reviewers. The novel is rich in cultural milestones designed to enhance the reader's appreciation of the protagonists' journeys throughout the decades. The title refers to a line of graffiti encountered by the protagonists at mid-story. At first speculating that "the Duke" written on the wall refers to John Wayne, Duke Ellington, Duke Snyder or other Dukes of the day, they finally agree to consider it prophetic. No duke, such as used biblically to represent a lord of good or evil, will save their generation. No, they must dance for themselves. - "[...] I enjoyed this novel very much, found it clever and funny and appreciated the ride back in time on the backs of this unheard generation. Richard Sharp was born in 1941, the youngest of nine siblings that survived infancy in a rural farming family driven from Oklahoma to Colorado during the Dust Bowl. He managed to go East to attend Harvard and Princeton and build a career in international development economics and transportation. His varied rural American upbringing, Ivy League education and work experience in over four dozen countries and most US states form the foundation for his sensibilities as a novelist. As a career consultant, Richard Sharp authored literally hundreds of non-fiction studies and reports over a long career and began fiction writing in 2001, producing two historical novels for mostly personal pleasure that will be released as Indie publications later this year. He wrote his current novel, "The Duke Don't Dance," in 2011 and it was published in 2012. 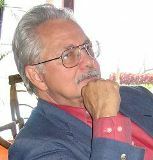 Richard Sharp is significantly influenced by the work of Isabel Allende, and writes from a somewhat similar perspective. He is working on his second novel entitled "Crystal Ships," referring to an old Irish legend and a Doors tune. It is built around the philosophy that life is not about the destination or the journey, but rather the vessels -- that is the people, ideas, illusions that take you through it.